The network begins! 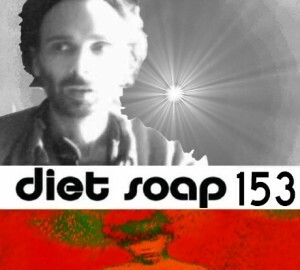 SittingNow is proud to welcome the awesome Diet Soap podcast into the fold. You my remember Douglas Lain from a recent – and the next – episode of CCN. We will be adding new shows to our roster over the coming weeks, so get your iTunes subscriptions fired up! Jason Horsley is probably most well known for his podcast Stormy Weather a show that focused on the subjects of “paranoid awareness” the concept of a second Matrix, and a striving after enlightenment . Jason released “Stormy Weather” under the pseudonym Aeolus Kephas. Now, according to wikipedia Aeolus is a name shared by three characters from Greek mythology. An Aeolus was the son of Poseidon (the god of the sea), the son of Hellen who himself was the son of Zeus and as such the progenitor of the Hellenic or Greek people, and also the son of King Hippotes. This Aeolus was known as the keeper of the winds and he gives Odysseus a bag of wind so the King could be sure to get back to Ithaca on a gentle West Wind. In contrast, on Horsley’s podcast Stormy Weather the winds were stronger and there was a sense that the listener might never get home again. Jason Horsley is the son of Northern Food’s chairman Nicholas Horsley and the brother of the late Sebastian Horsley, an artist and writer whose most well known for having staged his own crucifixion in the year 2000, but unlike his brother, Horsley disinherited his family’s fortune in 1991 and traveled to Morocco where he roamed the streets and scrounged. Aiming at becoming a late 20th century Buddha, Horsley followed the prescription or recipe for sainthood available to him at the time. He imbedded in psychedelic drugs, participated in shamanic rituals of various sorts, and wrote about the cinema. His first book, the Blood Poets, was published in 1999. Since then he’s written, various books including a book written under the pseudonym Aeolus Kephas entitled the Lucid View. Since Horsley’s first visit to the Diet Soap podcast he and I have been opposed allies. That is, whether we’re discussing Osho Rajneesh, the movie Close Encounters, William Blake, or debating epistemology we managed to find common ground to squabble over. This week we discuss his dream of enlightenment and what it might take for him to get there.